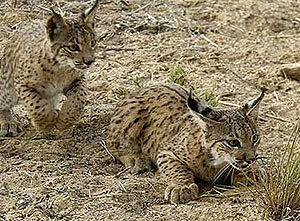 The first two iberian lynxes have been born in the wild this year in DoÃ±ana. A second female very probably also has given birth. Last year 64 lynxes were born in the wild between Doñana and Sierra Morena.